Singapore schools are regarded as among the best in the world. The success of private education institutes and international schools contribute to this reputation. Many students from overseas choose to study at private education institutes or international schools in Singapore, in order to achieve internationally recognised qualifications such as A-Levels. If you’re keen on enrolling your child in a reputed private school, it’s important to know the facts first. Insworld Institute is a high school in Singapore which offers students the chance to study for A-Level and IGCSE (International General Certificate of Secondary Education) exams in Singapore. These are set and administered by Pearson Edexcel, a fully accredited UK Exam Board and Awarding Body, and the longest-established provider of international A-Levels in Singapore. Pearson Edexcel international examinations are modular in design. This means that students can join Insworld academic programmes at different times of year (January, March, July and September), and take exams when they are ready to get the best grades. Insworld can tailor its academic programmes to meet the specific requirements of each student. We are able to focus on what each student needs to learn in order to move on to the next level in their education. Our ethos and organisation are designed to help students achieve their goals in the most effective and efficient way possible. This can result in considerable savings in time and money. The modular structure of Pearson Edexcel exams means that students will be awarded academic credits for any modules they have completed. These can easily be transferred to schools in other countries. Insworld also supplements its academic courses with a range of extra-curricular activities. Pearson Edexcel is the longest-established provider of International A-Levels in Singapore. These exams have proved popular with private schools here, as they are modular in design. This enables students from different backgrounds to begin programmes at different times of the year, and take exams when they are ready to achieve good grades. Private schools such as Insworld Institute can tailor academic programmes to suit the needs and ambitions of each student. Insworld also has four intakes of students each year (in January, March, July and September). How do Students Benefit from such Programmes? Simply because these allow academic credits to be awarded for partially-completed programmes, and easy transfer of A-Level academic credits achieved in Singapore to schools in other countries. Thus, any student who’s come to study in Singapore for family reasons, or because of the global reputation of schools has a lot to gain. 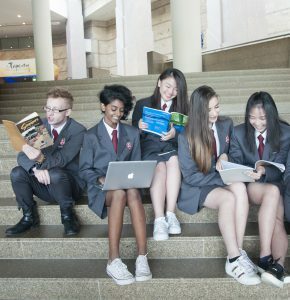 Insworld provides quality British education to Secondary (High School) students in Singapore, which are supplemented by a variety of extra-curricular activities. The A-Level is the standard UK pre-university qualification. Pearson Edexcel International A-Levels and GCE A-Levels are recognised by all leading universities worldwide. They provide detailed subject preparation for students who wish to apply to leading international universities or for those who prefer to study at university in Singapore. Students usually study three or four subjects at A-Level. GCSE is the standard year 11 (age 16) qualification in the UK. Pearson Edexcel IGCSE exams are benchmarked to UK standards, and are internationally recognised as having equal academic merit. Insworld Institute uses the IGCSE curriculum because its different subject specifications have been adapted to be more accessible to the international learner. This curriculum is suitable for study in Singapore as well as other international centres. Students usually study at least six subjects at IGCSE level. This is a programme designed for international students at junior high school level who wish to study in Singapore. It is intended to give students a solid grounding in the basics of the subjects they will go on to study at IGCSE and A-Levels in Singapore or elsewhere. It also provides training in the essential academic skills needed for further study. 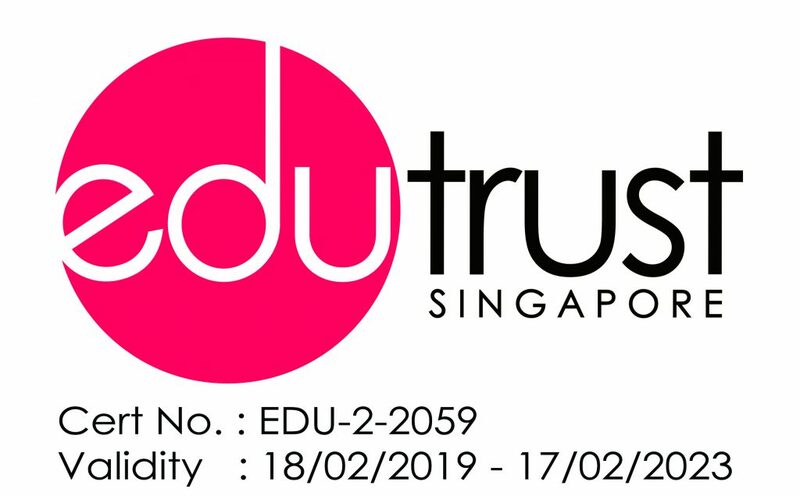 This is a programme which focuses on developing the English Language and study skills that are essential for successful study at schools in Singapore or in other centres where the medium of instruction is English. The programme seeks to develop students’ communicative competence in English, but also to ensure they develop the essential English language skills that are needed to progress to IGCSEs or A-Levels in Singapore. In addition to its internationally-recognised and accredited academic programmes, Insworld has its own approach to teaching. We work only in small classes, of 4 to 12 students. As a result our teachers can get to know our students, and understand how they learn. We can adjust the way we work and what we teach to make sure we meet the needs of each student. To assist with this, every student is assigned a personal tutor who will monitor all aspects of that student’s progress. If necessary we will also arrange extra one-to-one tuition sessions at no extra cost for students who need additional academic support. We also work closely with parents. Weekly reports are provided on each student’s progress, including formal assessment grades and grades for effort. Insworld operates a flexible four-term year, which gives students who have come to study in Singapore the chance to begin their programme at the most convenient time for them. The modular structure of the Pearson Edexcel IAL exams and our commitment to meeting the particular requirements of each student mean that we teach our programmes effectively and efficiently. Typically, IGCSE and A-Level programmes can be completed in six terms (18 months). This enables significant savings in terms of time and cost. We also provide flexibility in the subjects we offer to students studying A-Levels in Singapore. They can choose any combination of subjects that are available to reflect their interests, enthusiasms and ambitions. Many students who come to study in Singapore are looking to progress to university, in Singapore or overseas. Insworld has extensive experience of helping A-Level students with applications to overseas universities in the UK, USA, Canada, Australia and many other education centres. Our experience is that students who have studied at secondary or high school in Singapore are well regarded by universities. We offer advice and guidance and practical assistance – to ensure that our students have the best range of choices available to them for the next stage of their education. Insworld Institute is a private secondary school in Singapore which teaches a British curriculum to local and international students. We believe our programmes, especially the options to study A-Levels can give students the necessary academic foundations that will help them find places at leading universities and succeed in their further studies.